Best practice for laundry and getting great results from your washing machine. Newcomers to laundry, (and this refers to both sexes) tend to like to throw everything in together and tend to think ‘more is better’ in terms of ‘over filling’ the washing machine jammed full of clothing. And, also using ‘more detergent’ than necessary if washing a big load. This blog will hopefully explain why it is not a great idea to do the above and how to get the best laundry results from your washing machine. On a plus, with lower temperature settings, laundry it really is very hard to make a mistake that causes an irreversible change. Such as shrinking a garment or making colours run. So read and follow these tips, then have a go. With modern detergents like Distinctive, it’s only essential to do a basic sort before you wash. Lights separated from darks and to also put aside any fabrics which need special garment care such as a shorter spin – i.e. cashmere, wool or that silk tie or blouse that says hand washes on the label. You’ll want to make sure there are no dry clean only garments in there too. It’s also a good idea to separate particularly yucky items. Wash cleaning cloths and sports kits entirely on their own. You’d be surprised how many people don’t do this, but what if the cloth was last used with a cleaning spray containing bleach? Why would you want to risk the transference of bleach or germs from cleaning the bathroom, to your main fabric wash? Sweat smells risk transferring across to other fabrics as will chlorine from swimming things. They are best washed on gentle sports settings entirely on their own. We have a long distance runner in the household and the stench and sweat is horrific and needs treating by itself. I would also separate delicate fabrics, such as special silk underwear and woolen garments. For a standard wash, you are only removing normal day to day grime and sweat, so bedding, towels, and clothes are perfect washed together. Remember: Don’t stuff the washing machine jammed full or put too much detergent in. Overdosing and overfilling is definitely not a masculine trait. All teenagers will overdose when learning to use the washing machine if not given careful guidance. We are told to be environmental and wait to do the laundry with a full load. Overfilling a machine prevents the water and detergent circulating evenly across the wash. Modern machines are designed to use less water similar to sprinkler shower systems and so if the water/clothing ratio is out of balance then there could well be pockets of clothing that don’t get a good length of time soaked in detergent and water or have detergent trapped causing staining on fabric. This occurs with both powders and liquids. A full machine is actually only 2/3rds full! If you remember your machine probably only has the equivalent of a sinkful of water in it. That will remind you that clothes need space to tumble over and land in water for a period of time. This is also why the wash cycle is longer these days. Check dose against water hardness. It might mean less than 1 scoop or a little more. If you overdose detergent and overfill as well then you are compounding the problem. Are you are good at picturing? I am sure you can now imagine with a machine that is so tightly crammed full of clothing and the water sprinkling down finely that there is a big risk that pockets of dry dirty material remain untouched by water but could get contact with detergent. If you ever see a powdery result this is why. Thankfully, we have luxury fabric and room fragrance sprays, in both distinctive fragrances, which means that my own daughter’s tendency to want to make her load smell more Distinctive by overdosing isn’t likely. Spritz extra fragrance on when the fabric is dry. For items that are heavily soiled such as sportswear, its a good idea to select a programme with a pre-wash setting and just add a teaspoon or two of distinctive as an extra to the pre-wash compartment. This essentially is a mini wash and rinse to sluice off the worst grime before washing as usual. It should make perfect sense? If not please feel free to contact us if you require a bit more help. Normal household washing very rarely requires the use of the pre-wash these days but it can be useful – after a ‘mud runner event’ for example. In professional washing, we use tunnel wash machines. Fabric gradually progresses through a long tunnel machine getting progressively cleaner and cleaner. With water being recycled along the way and used many times over. Pre-wash in a domestic machine is a similar concept. Just as if you have to wash anything by hand like dirty nappies or mud its a great idea to sluice off the worst then soak once in solution, rinse, remove and start again. If you had to wash everything by hand you would start with one bucket and detergent and then progressively move fabric to a cleaner bucket until you got to the rinsing water stage. That way you can wash a lot more without wasting water. Not a problem with Distinctive – as with a heavy stain, selecting pre-wash or simply pre-soaking in cool water with a little Distinctive overnight would tackle it fine. Most people use regular cleaning programmes on their dishwasher but forget to clean and maintain the washing machine. The washing machine drawer gets disgustingly dirty if it is left too long, so remember to clean your machine thoroughly and also to check and clear the drain hose filter at the bottom of the machine too. It’s the little compartment located at the bottom right of most HE front loader machines. You’ll find more information here. A full machine is actually never above 2/3 full! As a quick rule of thumb, you want to be able to get your hand inside the top of the drum in the free space and be able to wiggle it around. As the water starts filling into the machine this free space is essential to enable water and detergent to circulate evenly through the fabric. If your clothing is jam-packed tight then screwed up clothing could mean that pockets of powder are left undissolved and stains and grime don’t get sufficiently soaked by water and detergent, leaving patches barely touched. If you overdose detergent and overfill a machine you are likely to get a patchy powder effect. Always follow detergent guidelines in relation to your water hardness for the area, so that rinse cycles can remove all the suds. Overdosing won’t help you clean a garment better it will just saturate it with more product meaning that the machines normal rinsing process will struggle to remove soapy residues. Laundry help, to minimise ironing? When a wash programme is finished it is a great idea to hang your clothes straight to dry to minimise the need to iron. Despite most peoples aversion to ironing, a hot pressed iron really does make all the difference to clothing looking pristine and like it did the day you first wore it. 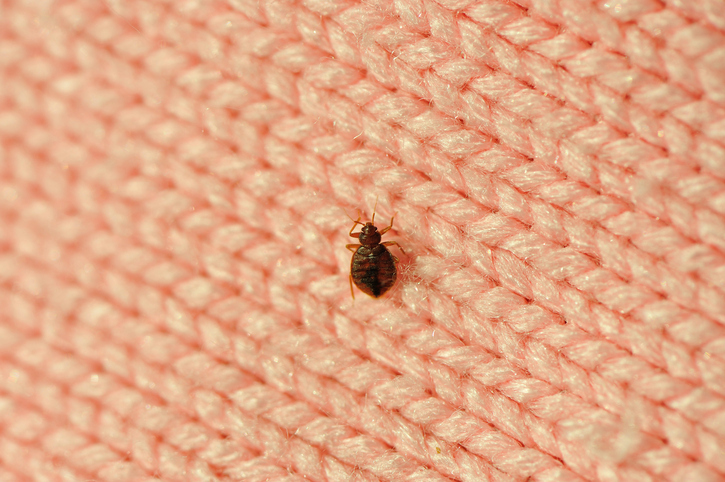 Plus, did you know that similar to the explosion of head lice in schools over the past ten years, Bed Bugs and mites are making a big come back? These nasty critters were virtually eliminated from the UK down to the 1940’s housewives fanatical obsession with hoovering and ironing. The bothersome bites experienced pre-world war one and two, were considered a thing of the past in the UK until recently. Washing cooler isn’t a problem as long as the fabric is finished by a hot press! Let us keep up British standards and iron – at least some of the time, it will eliminate any mites that are present, plus your clothes will look so much better.